Having a bit of a beauty addiction definitely means you have to keep your collection in check. I like to do clear outs once in a while to make sure I'm keeping the really good things, this is especially important for foundations and bases which don't keep that long to begin with. In a way I find cleaning and reorganizing my stash rather therapeutic (in a strange beauty blogger in of way) and I love the look of a clean and primped drawer. I think over the years I have acquired quite a distinct taste in base products both in terms of finishes and textures that I really like. Many of these didn't score high enough in the important categories for me to keep them around. When I first started using foundations, everything was quite nice but with time and experience I've certainly grown to be much more selective and with good reason... makeup has become more than just a "product" for me, it's a little bit of luxury that that makes me feel womanly and happy... and thus if the items don't do the same then it's time to say good bye. Do you share a similar makeup philosophy as me? How do you keep your collection in check? I agree, I love organizing and cleaning out products that I know I don't like and would just collect dust in my drawers. It's nice to see some space and room to keep products I truly enjoy using. Not really a big deal, just a by the way, A'pieu is pronounced eo-pyu. I looooove having a good de-stashing! I feel like products I just don't use only weigh me down, I prefer to be surrounded by things I love. Often I will do my best to give away products so that other people can try them, or if they're worth a lot and I haven't used them much I sometimes sell them on a blog sale. 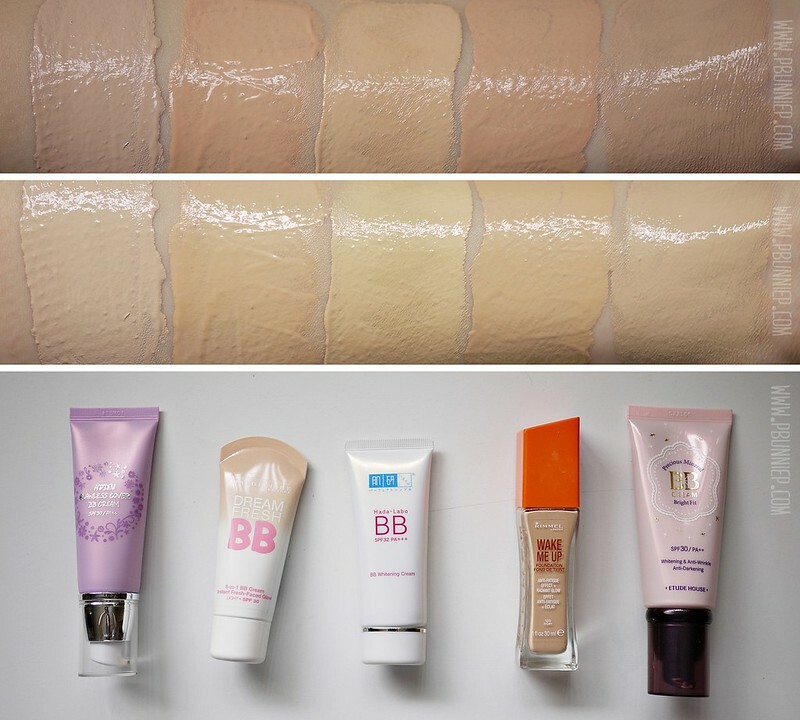 Plus, I'm obsessed with trying new base products, I figure one day I'll find a product that actually matches my skin and doesn't break me out (the last foundation I tried finally matched my skin - it was Vapour Organic Beauty's Soft-Focus FOundation - it was beautiful on but it broke me out)!